MANILA, Philippines (UPDATED) – The Department of Education (DepEd) has committed to a curriculum change that will show the “complete” picture of Martial Law, including the “corruption and human rights abuses” during that time. This was revealed by Senator Paolo Benigno “Bam” Aquino IV on Tuesday, September 20, after the Senate committee on education, arts, and culture conducted a hearing on the country’s Martial Law education. “Ngayon, Secretary Briones herself said na itong curriculum change, sisikapin nila na buo iyong picture, mas makikita ng mga kabataan natin iyong downside ng Martial Law, which of course, is the corruption and human rights abuses,” Aquino, who chairs the committee, said in an interview after the hearing. 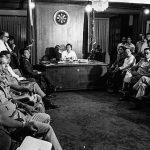 The hearing was held on the eve of the 44th anniversary of Martial Law. 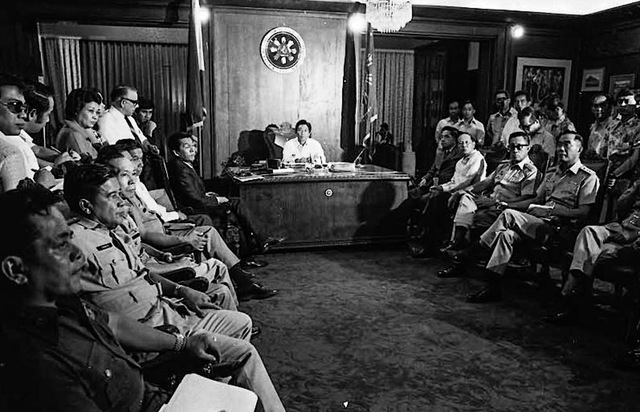 On September 21, 1972, then President Ferdinand Marcos signed Proclamation 1081, which placed the entire Philippines under Martial Law, until 1981 or almost a decade later. During the Tuesday hearing, Aquino lamented the revision of history regarding Martial Law. Aquino even showed an old textbook which painted a rosy picture of the Martial Law era. “Nakakahiya sa mga tao gaya ni [Secretary] Briones. Siya mismo Martial Law victim. Siya mismo nahirapan noong panahong iyon. It’s a disservice and a slap in the face for those victims na parang kinakalimutan natin ang masamang nangyari noong panahon,” Aquino said. In a statement, DepEd Undersecretary Dina Ocampo explained that martial law in the basic education curriculum is included not only in the subject Araling Panlipunan or Social Sciences, but also in other subjects like Edukasyon sa Pagpapakatao. “Older kids might be more able to handle narratives, but as for the younger children, we will have to be very careful. Balancing authenticity of sources and making it age-appropriate are the challenges,” she added. Briones said the goal is to teach children to be critical. “We teach human rights and democracy as early as Grade 2. In Grade 6, we already include a portion of Martial Law in history. The theme is human rights, there is a chapter in Grade 6 about dictatorship not just in the Philippines but all over the world,” she said in a mix of English and Filipino. Before Briones took office, she had said that her department’s review of history books will cover the administration of all Philippine presidents, and not just that of Marcos’. On Tuesday, Aquino also called for the proper implementation of Republic Act 10368 or the Human Rights Victims Reparation and Recognition Act of 2013. The law mandates the Human Rights Violations Victims’ Memorial Commission to work with DepEd and the Commission on Higher Education to make sure that the curricula from basic to tertiary education include teachings on Martial Law atrocities, and the lives and sacrifices of human rights violations victims. He said that any online effort to revise history can be countered by an educational system that provides students with the right foundation on what happened during Martial Law. Citing National Historical Commission of the Philippines Chair Maria Serena Diokno, Aquino said the atrocities of Martial Law are no longer disputable as these are already historical facts. Aquino said Martial Law won’t be taught yet this year using textbooks since DepEd is still going through a transition. Still, he lauded some schools where teachers “do their best to teach about it” and take the initiative to use their own learning materials. “Alam naman iyan ng DepEd but we’re hoping that in the years to come, itong curriculum na mas kumpleto, mas naipapakita iyong masasamang nangyari din, iyon iyong gamitin sa ating mga eskuwelahan,” Aquino added.